New Fall 2018 season starts September 4th through December 9th! 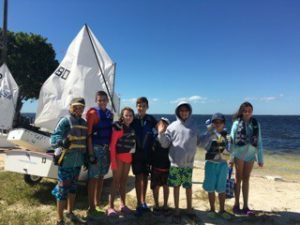 Program will teach sailors basics of boat handling and seamanship; how to sail upwind and downwind, round marks and sail a basic race course; launch and return unassisted to and from the beach and how to self-right a capsized Opti. Commitment to the practice schedule. Payment via installments is always allowed but arrangements with the youth sailing director must be made on an individual basis.